Winter is right around the corner. With the cold climate, comes the warm menu. 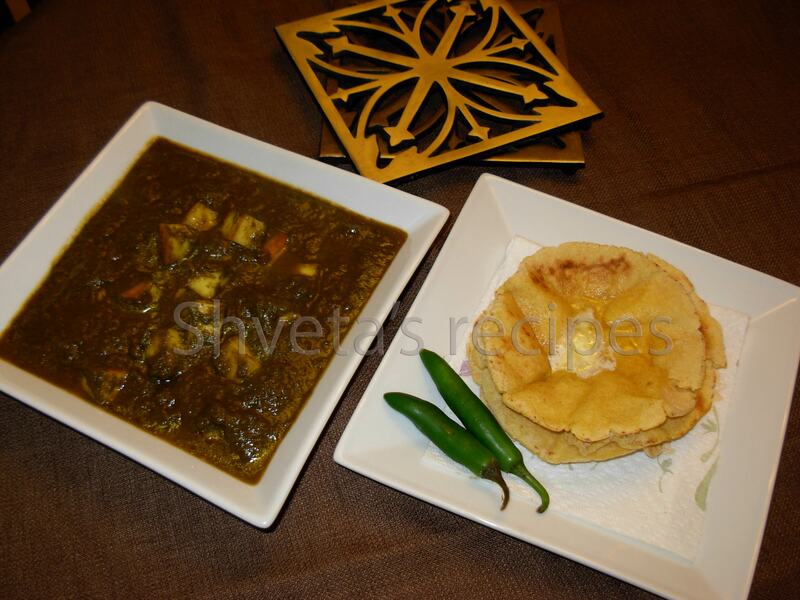 Makki di roti and Sarson da saag is one of the most famous north Indian [Punjabi] meal. 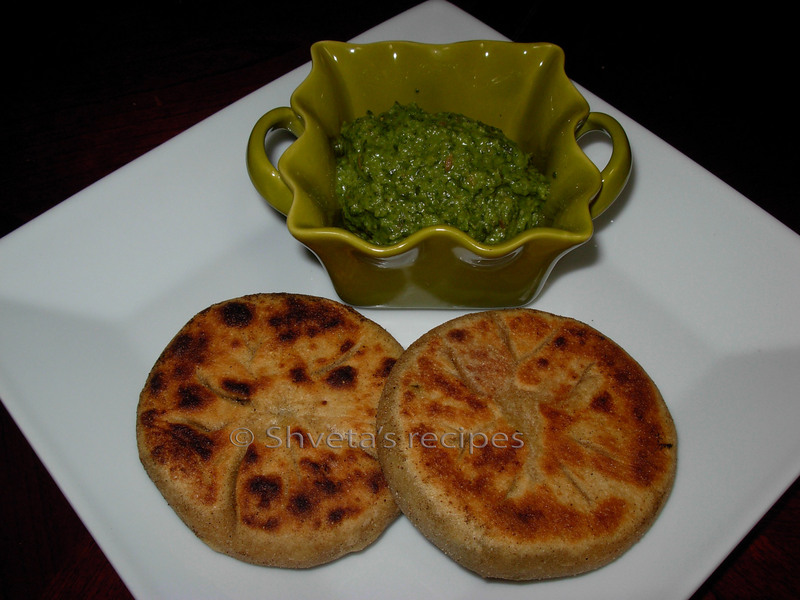 Here I’m sharing the recipe for Sarson ka saag and Makki ki roti. Wash spinach and mustard leaves thoroughly in cold water. Boil the washed spinach, mustard leaves and chopped turnip using very little water or pressures cook it. Gently blend the above vegetables with hand blender and keep aside. In a pan, heat 2 tbsp butter or pure ghee. Add cumin and mustard seeds. Let it crackle. Add asafoetida powder. Then add chopped onions and sauté it, till it turns translucent and light golden. Add chopped green chilies, garlic and ginger to it. Sauté for 2 minutes. Add chopped tomatoes to the pan and let it sit for further 5 minutes. Finally add pureed mustard-spinach-turnip to the above masala and mix well. Now add 1 cup water and cornmeal for thicker consistency and mix well. Boil it for 5 minutes. Also add turmeric powder, red chili powder, coriander powder, garam masala and salt. Mix it all together and sauté it for 8-10 minutes. Garnish with butter or ghee. 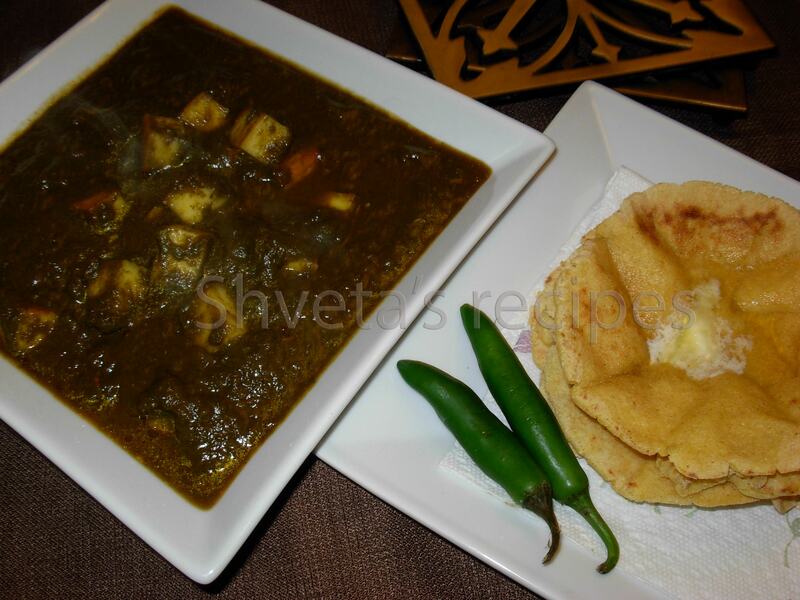 Serve hot with fresh makki di roti. Prepare dough using cornmeal, whole wheat flour, warm water and some salt. Knead well to make smooth and soft dough. Divide the dough into 6 equal-sized balls. Heat a griddle or tawa. Place the roti on it and let it cook for one side on moderate heat. Turn the roti and spread a little ghee or butter on the top surface. Let both the sides cook evenly till it becomes golden. Serve hot, topped with some butter or pure ghee. To make dough, in a large bowl add whole wheat flour, butter, salt and some water to make even but little stiff dough. Keep aside. To prepare filling, Clean the methi leaves and cut finely. Keep aside. Boil, peel and cut potatoes into small cubes and keep aside. In a pan, heat 1 tbsp olive oil. Add cumin seeds, mustard seeds and asafoetida powder. When it crackles, add crushed garlic and ginger. Sauté for 2-3 minutes. Add cut methi leaves and boiled potatoes to the pan. Mix well and cover the pan for few minutes. Now add all dry spices (turmeric powder, red chili powder, coriander powder, garam masala powder and salt). Mix well.Cook it uncovered till the filling becomes dry. 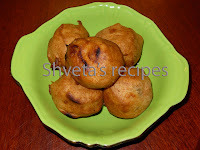 To make tikke, divide the dough into 8 balls. Roll the balls into 6 inches diameter circles. 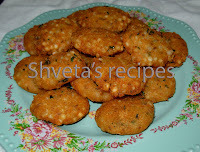 On each circle, place 2 tbsp of methi filling. Bring all the sides together and make it into tikke. On the medium hot griddle, place two tikke at a time. Cook the tikke on both sides till it becomes golden brown. Enjoy garma garam tikke with green mint chutney on the side. During fasting, one can only eat certain things. Singhara flour is one of those. Here I’m sharing with you my mom’s recipe for making parathas from singhara flour [singhara atta] and simple aloo subzi. In a large bowl, add singhara flour, boiled and mashed potatoes, green chilies, salt. Mix well. Add little water as needed to knead it into a smooth dough. Keep aside for 5 minutes. Divide the dough into 6 even parts. 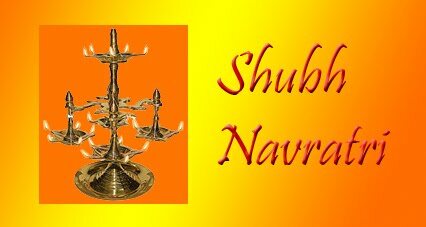 Make balls of each part nad very carefully roll them flat into parathas. If it is difficult to roll, try using parchment paper. Place the dough ball between two sheets of parchment paper and gently roll. Later peel the parchment paper from both sides and shallow fry it on the griddle or frying pan using very little oil on both sides. Fry parathas till they trun golden brown on both sides. Parathas are ready to serve. In a pan, heat 1 tbsp of oil. Add cumin seeds and green chilies to it. Saute for 2 minutes. Add chopped tomatoes and cook it for 5 minutes till tomatoes get little soft. Add red chili powder. Mix well. Now add 1 cup water to it. Bring it to a boil. Add boiled, peeled and chopped potatoes and salt. Also add 1/2 tsp sugar to neutralize the sour taste from tomatoes [optional]. Cook for 5 more minutes and garnish with fresh chopped cilantro. 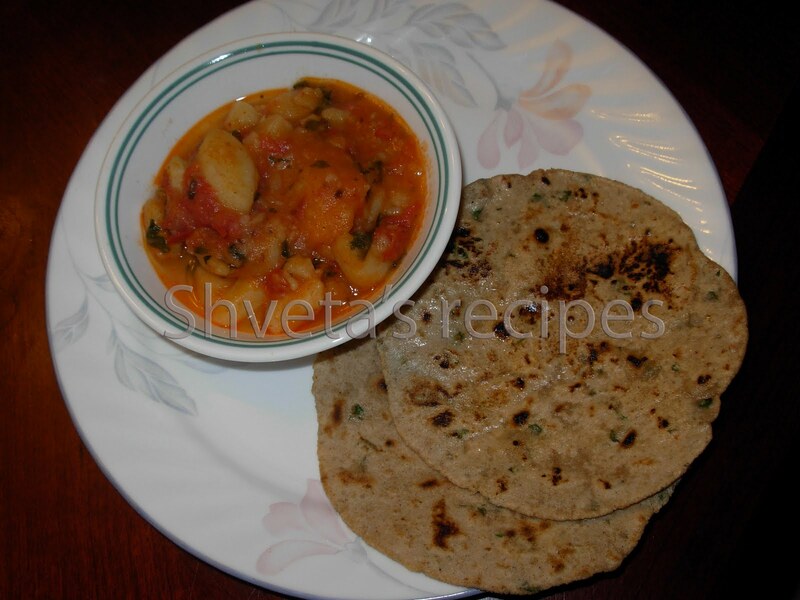 Enjoy garma garam parathas with aloo subzi. Dal ka parathe is perfect for Sunday brunch. It is healthy and flavorful. You can use also leftover dal for this recipe. Wash Moong dal thoroughly. 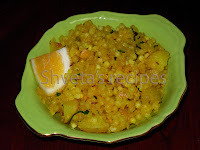 Boil washed moong dal using very little water and some salt or pressure cook it. When it is done, keep aside. 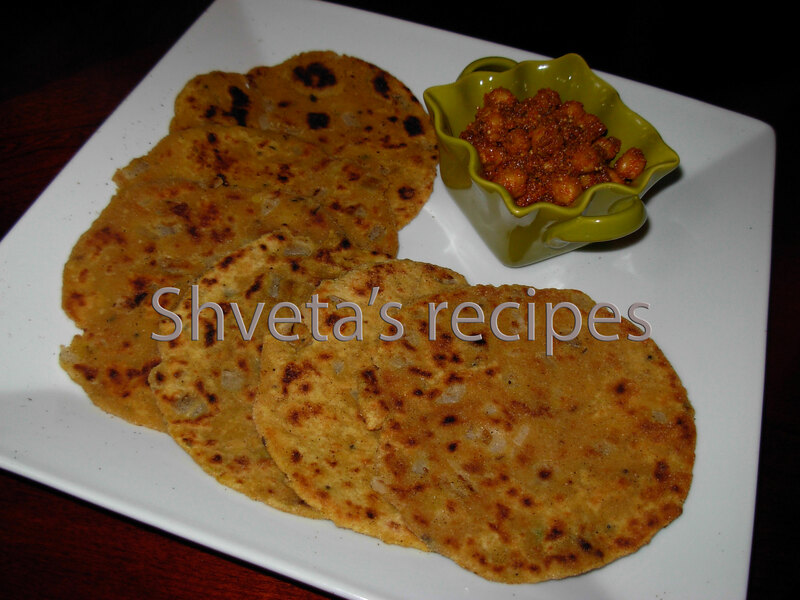 For this recipe you can also use leftover dal for the parathas. Combine wheat flour, onions, ginger-garlic, green chilies and cilantro. Also add all the dry spices and finally cooked dal. Mix it all and knead well into dough. If necessary add very little water. Divide the dough into 10 equal portions and make even balls of it. Roll the dough balls into 8 inch diameter circles. 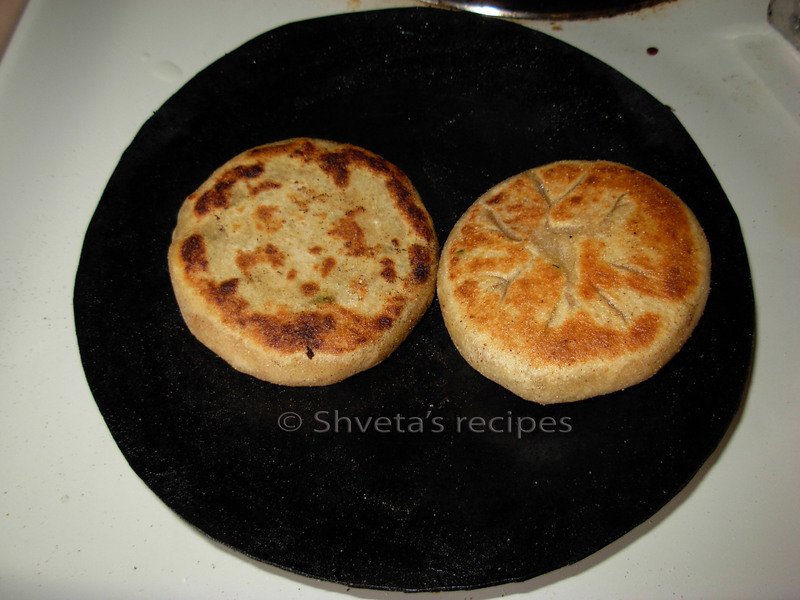 Cook the parathas on hot griddle [tava] or a pan using very little oil on both the sides till it turns golden brown. Drain on the paper towel and keep aside. 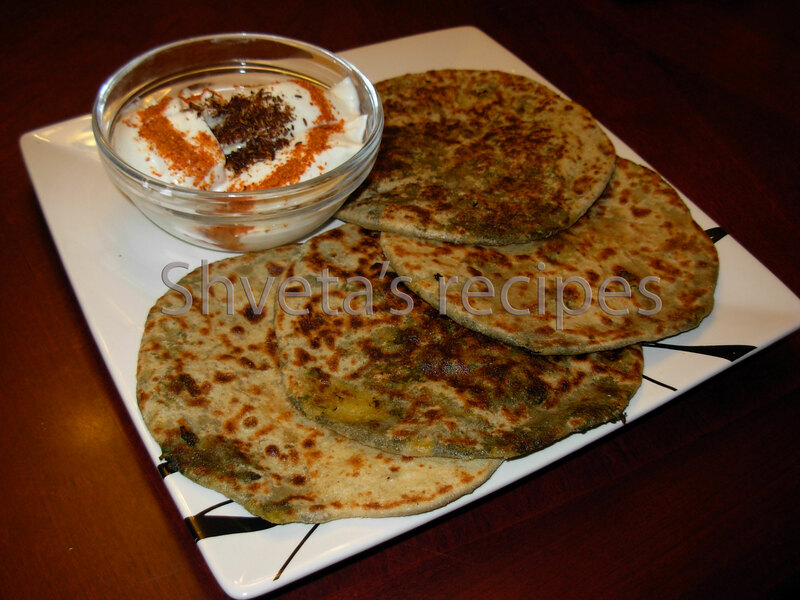 Enjoy garma garam parathas with raita (yogurt) and achaar (pickle). 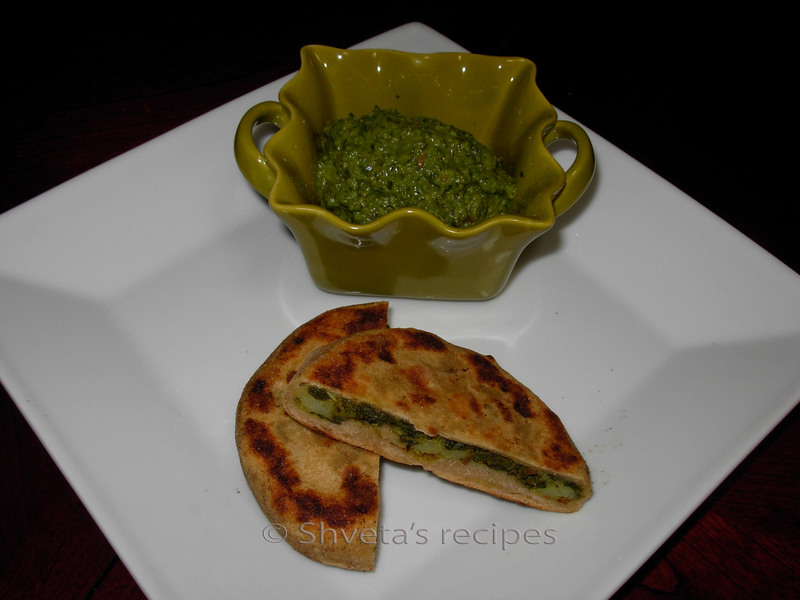 Aloo – palak paratha is great for brunch, breakfast or anytime meal. Instead of aloo-palak, only palak can be stuffed for different taste. Leftover aloo palak subzi can be used for stuffing. This paratha is a hit for lunch box meal too. Combine whole wheat flour, half cumin seeds, ajwain seeds and 1 tbsp vegetable oil. Mix together well and add water slowly to make soft dough. Knead well to make it even. Keep the dough aside for 10-15 minutes. Peel and cut potatoes in small cubes and keep aside. Clean and cut fresh spinach finely or thaw frozen spinach. To prepare stuffing, in a pan, heat 1 tbsp of cooking oil and add remaining cumin seeds to it. Let it crackle. Add asafetida powder, garlic, green chilies to it. Cook for a minute. Add cut potatoes and spinach. Mix, cover and cook for 5-7 minutes on medium heat. Add red chili powder, coriander powder, turmeric powder to it. When potatoes are fully done, cook it uncovered for 7 more minutes. Take off the flame and let the stuffing cool down. Mash the stuffing and divide it into 8 equal parts. Divide the dough into 8 parts. Take one part and make a ball of it. And then with the help of rolling pin, roll it and stuff the golf ball size stuffing into the dough. Roll the parathas lightly into 6-7” diameter. On the hot griddle, fry parathas one at a time till it becomes golden brown on both the sides. . Repeat the process with the remaining 7 parts of dough. Enjoy with fresh yogurt and your favorite pickle anytime of the day.